With the threat of tariffs and counter-tariffs between Washington and Beijing looming, Chinese buyers are canceling orders for U.S. soybeans, a trend that could deal a blow to American farmers if it continues. "The Chinese aren't willing to buy U.S. soybeans with a 25 percent tax hanging over their head," said Dan Basse, president of AgResource, an agricultural research and advisory firm. "You just don't want the risk." 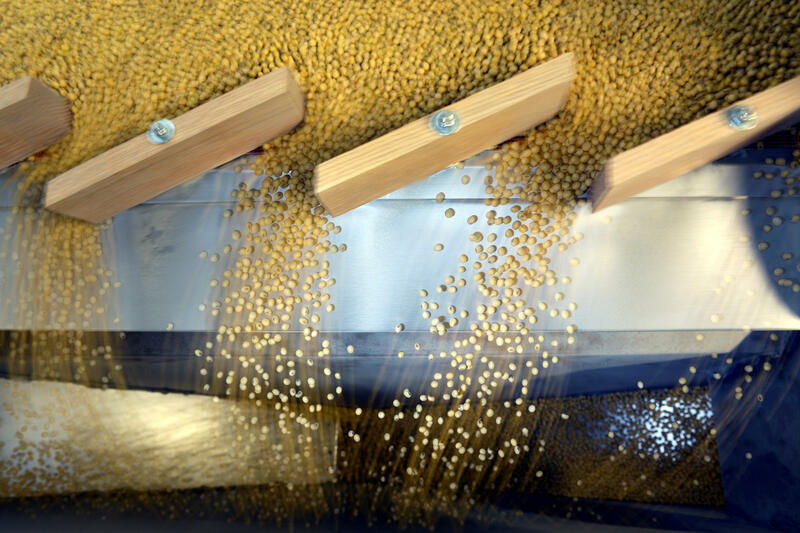 Data from the U.S. government data show that sales of soybeans have fallen from about 255,000 metric tons in the first week of April, when the trade dispute began, to just 7,900 in the week that ended April 26. Cancellations have also jumped, to more than 140,000 metric tons in the week ending April 26. In the same week last year, there were no canceled sales at all. And if the Chinese market were to be closed to U.S. farmers, they might be able to sell some portion of their soybeans to other markets. Baize said that huge multinational companies, such as Cargill and ADM, might, for example, sell more U.S. soybeans toEurope, where they wouldn't face any tariffs, though this likely wouldn't make up for the loss of the Chinese market. But the subsidy adjustment did come with political undertones. Officials in major soybean-producing provinces were describing the promotion of local soybeans as "the most important political task in agricultural production at present." Heilongjiang in northeast China announced a pilot project to plant soybeans on 100,000 new hectares, with an extra 2,250 yuan ($353) subsidy per hectare. The moves are prompting farmers like Liu Cong to focus more on growing soy. Liu says he used most of his land to grow corn last year but this year is planting more soybeans. "This is encouraging for farmers," he said in a phone interview. "We're more motivated."